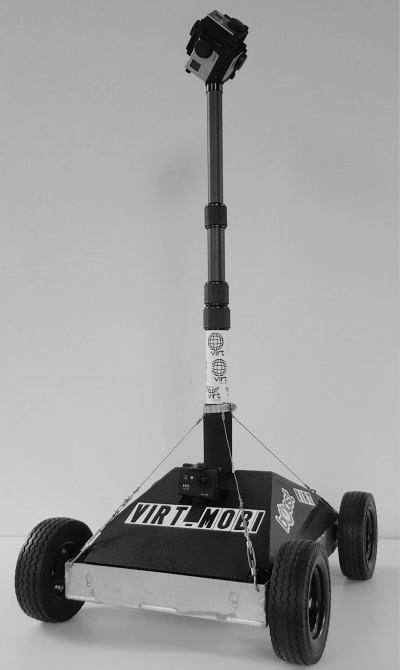 The VIRTMOBI is the world's first 360-degree video rover, and it allows us to capture 360-degree videos while moving. This means you don't have to click from picture to picture like a panoramic tour, and you can smoothly move wherever the VIRTMOBI went. We stitch the 360-degree videos together and align them into a unified map. This means you can smoothly move from one video to the next without losing your sense of presence. After stitching and processing, we store the VIRT™ walkthrough in the cloud so you and your customers don't have to download anything. You can easily embed the VIRT™ walkthrough into your existing website, and people will be able to explore the spaces online and in virtual reality.